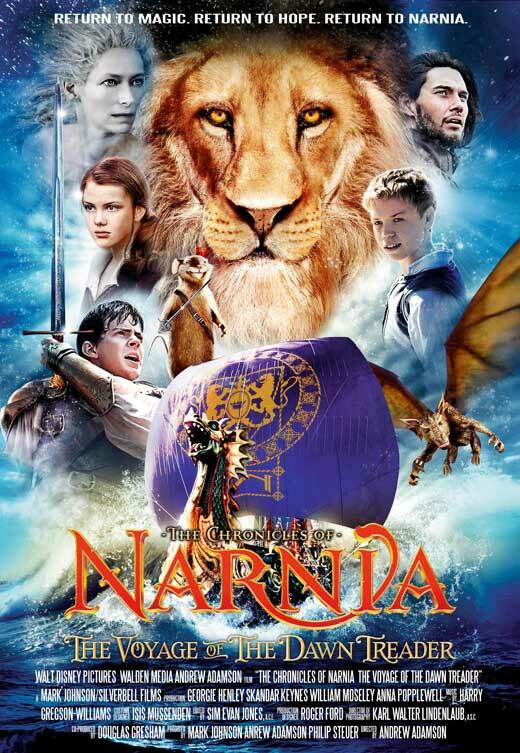 The third Narnia movie, VOYAGE OF THE DAWN TREADER, FINDS Lucy, her brother Edmund and their irritating, selfish cousin Eustace literally being swept into Narnia and aboard the Dawn Treader, the finest Narnian ship, where they embark on a journey to stop a mysterious evil green mist. VOYAGE OF THE DAWN TREADER is in every respect a four star movie, with strong redemptive themes, but some significant changes to the book diminish some of its rich Christian symbolism put there by author C.S. Lewis to save the world from evil paganism.